I looked at the "Benchy_Sump_LogicAnalyzer" example. If I understand it correctly, the serial input/output of the "Sump Blaze Logic Analyzer x8" symbol goes to the ZPUino, and on the ZPUino there runs a sketch that forwards the serial IO to the serial port of the Papilio DUO board. 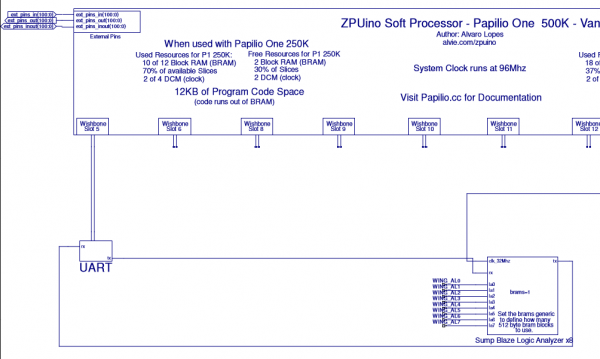 Is it necessary to forward the data through the ZPUino, or can the logic analyzer be used in a design that doesn't have one? I tried to add the logic analyzer to a simple design of my own and connected the tx and rx pins of the logic analyzer to the TXD and RXD pins of the Pailio DUO. Then I tried to connect to it with Logic Analyzer GUI, but that didn't work so far. I tried device types "Original SUMP device" and "Papilio Logic Analyzer", and when I click "Show device metadata" I see the serial LEDs blinking on the Papilio board, but then the "Device type" is cleared and nothing is retrieved. 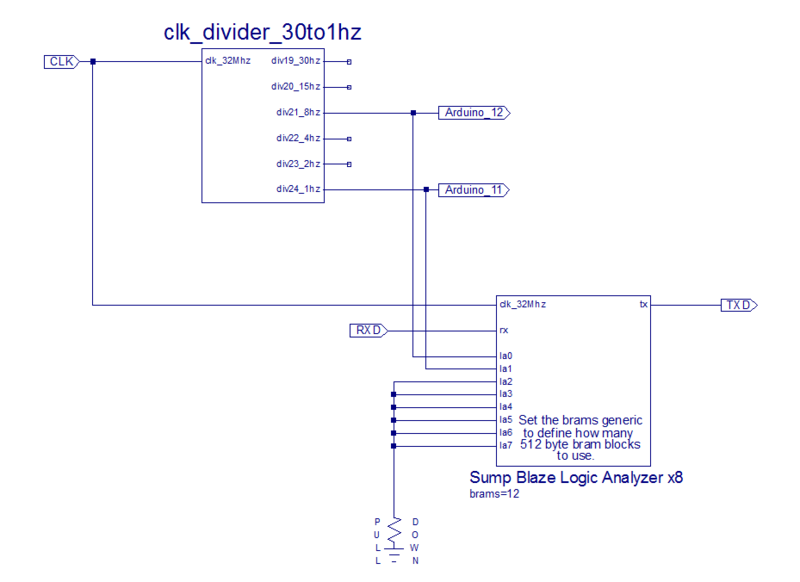 And for my understanding who the logic analyzer works: I looked at the VHDL implementation of the logic analyzer, and I can't find any actual logic in there, just lots of mappings and constant definitions. Is this really the whole implementation, or are there additional modules involved that I was not able to find? Answer to myself: When the "BENCHY_sa_SumpBlaze_LogicAnalyzer8.vhd" is added to the design, it pulls in a lot of VHDL files that contain the actual implementation of the logic analyzer. ERROR:Place:1108 - A clock IOB / BUFGMUX clock component pair have been found   that are not placed at an optimal clock IOB / BUFGMUX site pair. The clock   IOB component <CLK> is placed at site <P94>. The corresponding BUFG component   <XLXI_63/Inst_clockman/clkin2_inst> is placed at site <BUFGMUX_X2Y3>. There   is only a select set of IOBs that can use the fast path to the Clocker   buffer, and they are not being used. You may want to analyze why this problem   exists and correct it. If this sub optimal condition is acceptable for this   design, you may use the CLOCK_DEDICATED_ROUTE constraint in the .ucf file to   demote this message to a WARNING and allow your design to continue. However,   the use of this override is highly discouraged as it may lead to very poor   timing results. It is recommended that this error condition be corrected in   the design. A list of all the COMP.PINs used in this clock placement rule is   listed below. These examples can be used directly in the .ucf file to   override this clock rule. < NET "CLK" CLOCK_DEDICATED_ROUTE = FALSE; >ERROR:Pack:1654 - The timing-driven placement phase encountered an error. P94 is the pin where the 32Mhz oscillator is connected to the Spartan FPGA, so that cannot be changed. I don't understand yet where the placement of the BUFG component at site BUFGMUX_X2Y3 comes from, and where it could be modified. Is this a known issue with the logic analyzer? Can you zip up your project and post it here? I'll take a look on Monday. thanks for taking a look. The project is attached. Should it be possible in general to use the logic analyzer without forwarding the serial port through the ZPUino? For sure, I'm certain I've done that before. I might need to change the clock input buffers for it to work correctly. 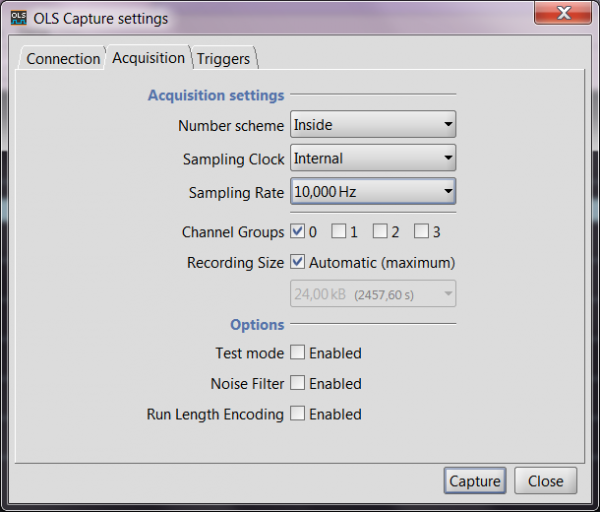 I want to improve the logic analyzer library this week and expose all 32 channels and maybe make one attached to the SRAM for the DUO. 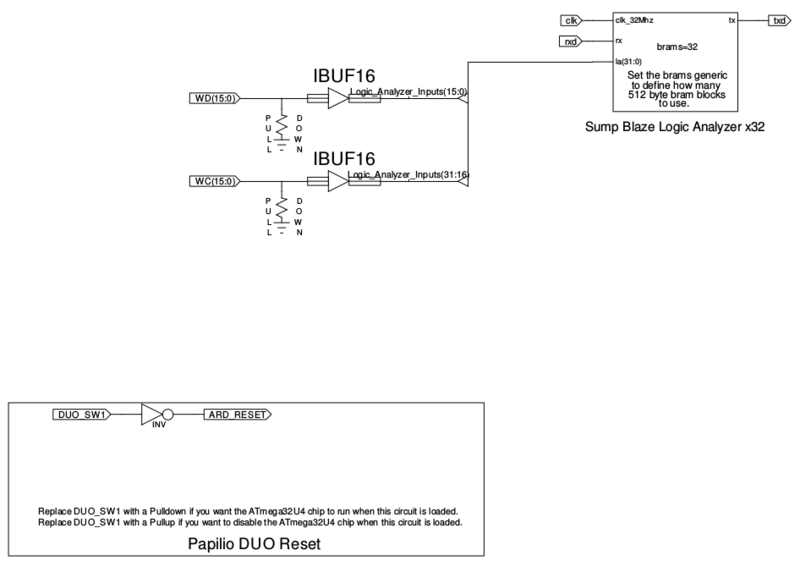 The problem you are running into is that GCLK input pins (like the one that the Oscillator on the Papilio board is connected to) can only feed into BUFG primitive's that are in the same bank as the input pin. 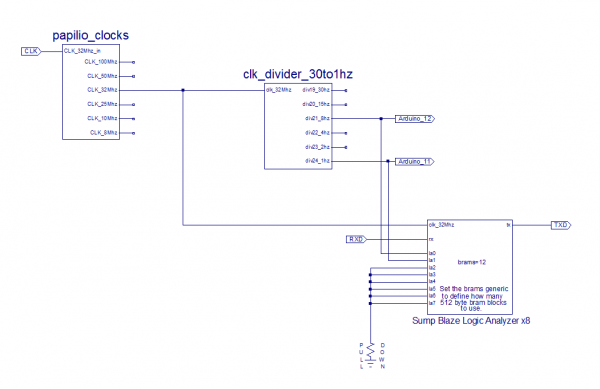 Xilinx ISE doesn't do a very good job of automatically connecting GCLK pins to BUFG pins that are in the same bank and it ends up connecting it to a BUFG in a different bank when it needs to connect a GCLK input pin to multiple BUFG's. BUFG's serve to connect a clock input from a clock source such as GCKL pin or a DCM or PLL to the global routing infrastructure. What seems to prevent this from happening is to be careful to only connect clk to a single symbol at a time. Then feed the clock input from the IBUF out to a FPGA signal which can then feed other BUFGs, DCMs, PLLs, or FPGA logic. I'm attaching a new copy of the papilio_clocks.vhd file that defines the papilio_clocks "chip". This updated version connects CLK_32Mhz to a signal and allows it to be fed into other components without errors. Please replace your libraries/Building_Blocks/papilio_clocks.vhd file with the attached one. 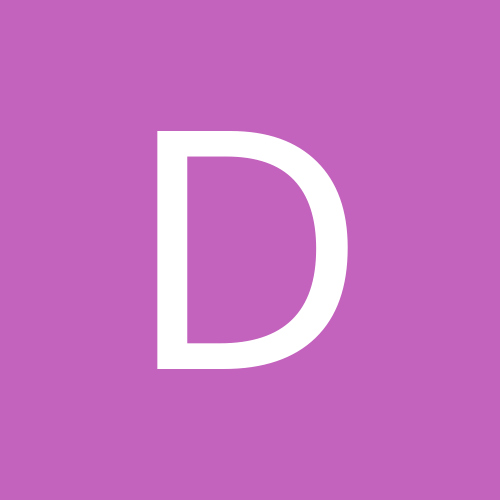 I will include the upgrade in DesignLab 1.0.6 release. 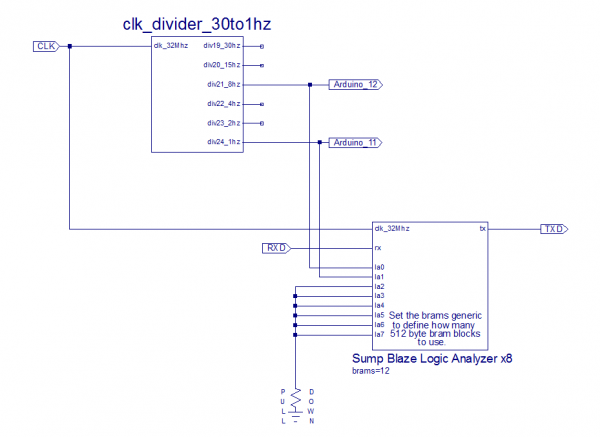 Notice that clk feeds into a single chip that generates multiple clocks and passes the clk_32Mhz through as a signal instead of a straight IBUF which seems to make the tools work right. I've verified that the circuit in the picture works, but I had to set the Logic Analyzer client to 10Khz to see anything. thanks for tracking this down. I can confirm that after replacing the papilio_clocks.vhd with the new version and after modifying the design as proposed the design is compiled successfully. What I still failed to do is to capture anything after uploading the bit file to the board. How did you start the capturing process? 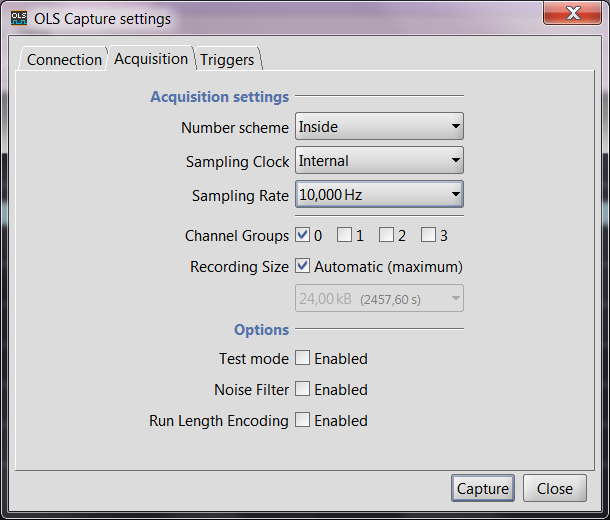 I tried several Device Types in the OLS capture settings dialog after setting the Sampling Rate on the Acquisition tab (see screen shots). 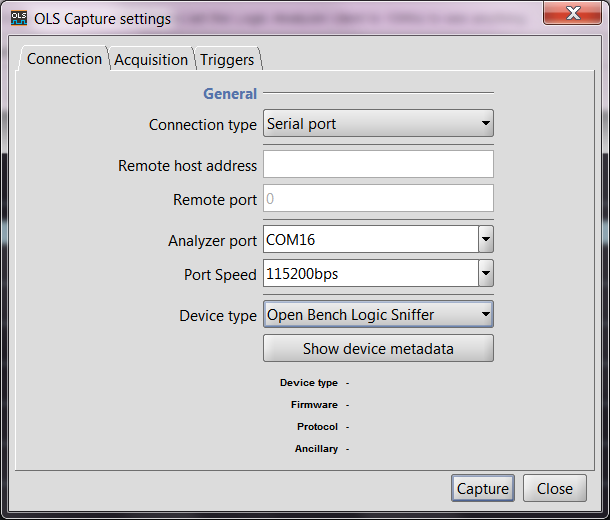 I tried "Open Bench Logic Sniffer", "Original SUMP device" and "Papilio Logic Analyzer". The capture starts, and when I stop the capture it always says "Capture failed! null" in the lower left corner of the main window. When I start the capture and when I stop the capture I see the Tx and Rx LEDs flashing on the Papilio DUO board. After playing some more with the Acquisition options it suddenly worked! 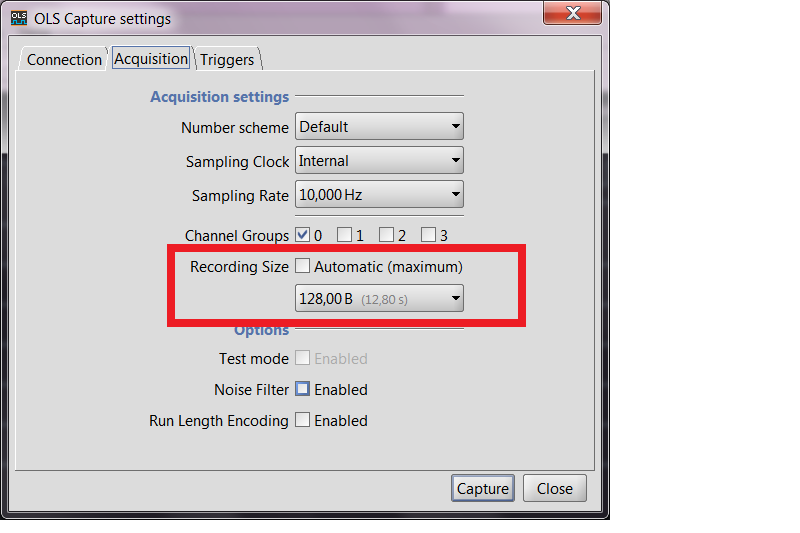 The problem was that I had set the Recording Size to "Automatic (maximum)", and I always stopped the capturing manually. Probably I didn't wait long enough. 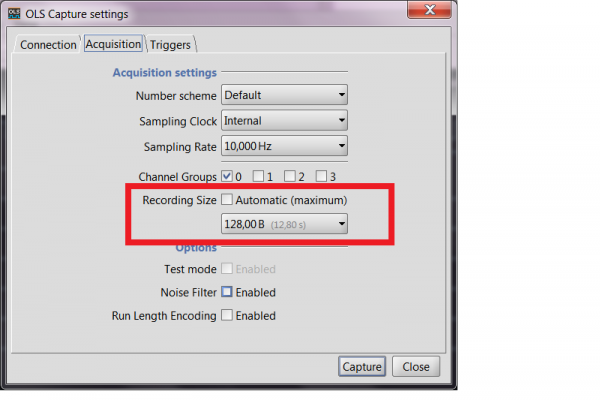 After setting the Recording Size to a fixed amount it works now. Yes, my fault. I had thought that I can just stop the capturing with the red button when I like. Thanks for the video walk through. Hopefully it will help others to get started with the logic analyzer. I need to have a Logic Analyzer in my ds1wm design for testing and debugging. 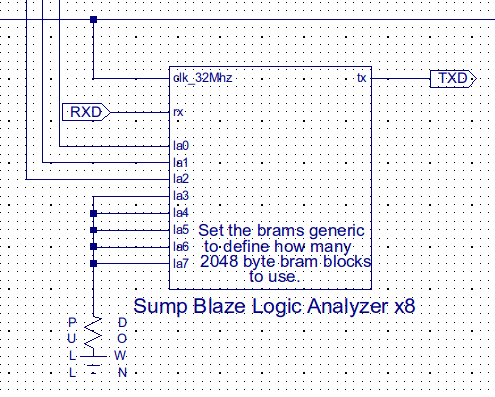 Thus I had a look at the Benchy_Sump_LogicAnalyzer example. It uses a COMM_zpuino_wb_UART to connect the logic analyzer to the zpuino together with some code that forwards the serial data to and from USB serial port. The problem is that I need the same USB connection (from zpuino) to print debug data to console/monitor. So the question is how to connect the logic analyzer to the ATmega Serial1 port (and use it's USB serial connection) instead? Is ATmega Serial1 fast enough? Is such a connection established by using RXD and TXD? What physical connection/pin do RXD and TXD utilize? Please take a look at the JTAG Logic Analyzer project, it is meant for scenario's like you describe where you need the rx and tx pins for the design you are debugging. The JTAG Logic Analyzer option will use a special bridge that runs on your computer that will turn the first channel of the FTDI chip that is connected to the JTAG port of the FPGA into a serial communication channel that the Logic Analyzer client can connect to. I use this option regularly when I am debugging the ZPUino and it works pretty well. The only caveat is that I've only included the application that needs to run on your computer for the Windows version of DesignLab... Are you using Windows or Linux? I had a short look and from that as well from what you describe, I think that is the solution to my question - I will test this as soon as possible! Thanks! Though just out of curiosity; would the solution I proposed before work as well? Good point; I'm running Linux. Parts of the reason why I love the Papilio DUO so much is it's Linux compatibility. I think what you are proposing should work. You just need to connect the rx and tx lines of the Logic Analzyer to the pins that the serial pins of the AVR chip. Then on the AVR chip you will need to run a little sketch that will forward the data from the serial port to the USB port. I think USB is on serial0 and the serial pins are serial1. It should be fast enough to work just fine and this is probably an easier solution to accomplish under Linux. What's the plan about a release of a linux solution for the JTAG server and Logic Analyzer client software? What is "Coming soon"? I had a look for linux JTAG servers, I found; Altera and UrJTAG (last update 2009) - so I don't know what to do here right now. The directed pack was not possible because: More than one pad symbol. 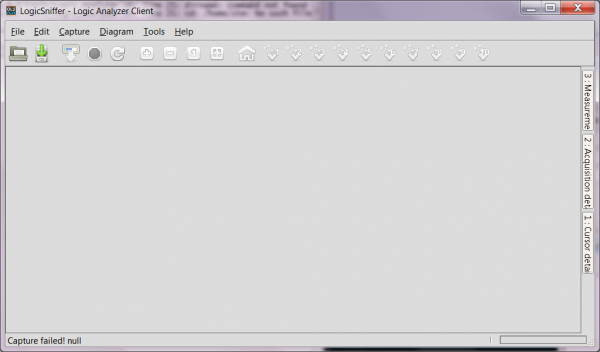 It is just a modified version of papilio-prog so it should run under Linux just fine. You can download the source and compile it for yourself if you like. 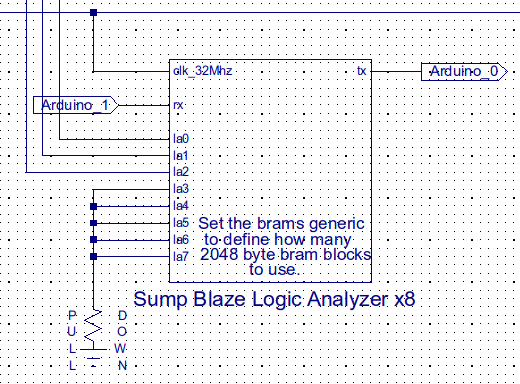 This is the "Sump" Logic Analyzer that is used in the Open Bench Logic Sniffer. Use this to make a standalone logic analyzer that is directly connected to the Papilio serial port. Sample at speeds up to 200Mhz! after that I had a binary called .../Papilio-Loader-debugMode/papilio-prog/papilio-prog (not butterflyprog as mentioned in the README). Ok, yes it runs and comparing this part of the binary against .../DesignLab-1.0.7/tools/papilio-prog-jtag-server/papilio-prog-jtag-server.exe gives me the impression these are the same programs, right? Here the markers used are called "rxd" and "txd". How are they related to "RXD" "TXD"? This boils down to the question of what serial port gets used? The code does no serial forwarding. Again what serial port is used? The FPGA one? For me this one is occupied by ZPUino, right? rxd and txd are not connected in this circuit. Instead we have the normal behavior for a ZPUino design, the rxd and txd pins are connected through the ext_pins_in and ext_pins_out bus and they are the usual Serial object. Serial is the USB serial port and mySerial1 is the serial port we connect to Wishbone slot 5 and the Logic Analyzer core. No, we are not seeing the same thing - you might be confusing "Benchy_Sump_LogicAnalyzer_Standalone" and "Benchy_Sump_LogicAnalyzer" examples. In my DesignLab 1.0.7 (and all my posts) the example you mentioned above is called "Benchy_Sump_LogicAnalyzer". This is exactly like the Arduino example I was mentioning in a post before, right? Hi Jack, it's been quite some time. Today I did the test of the JTAG variant. from there, it works for most of them. 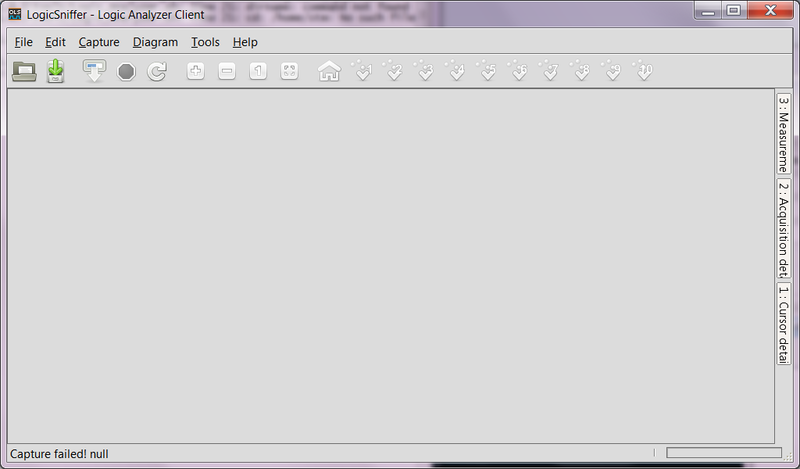 For some of the .xise files I see a huge bunch of libraries in Design tab opened (not only Papilio_DUO_LX9 and Utility). Is there a way to reset to "factory settings"? Taking too long, aborting and just sending zeroes.